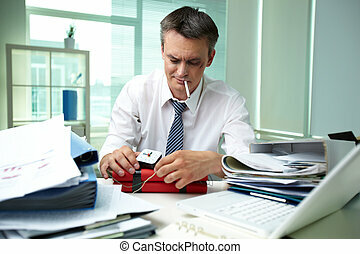 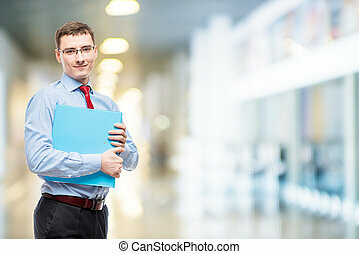 Experienced accountant. 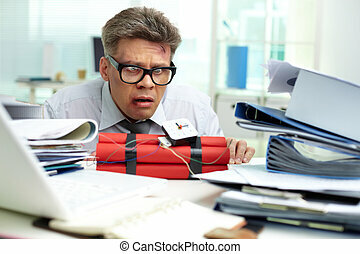 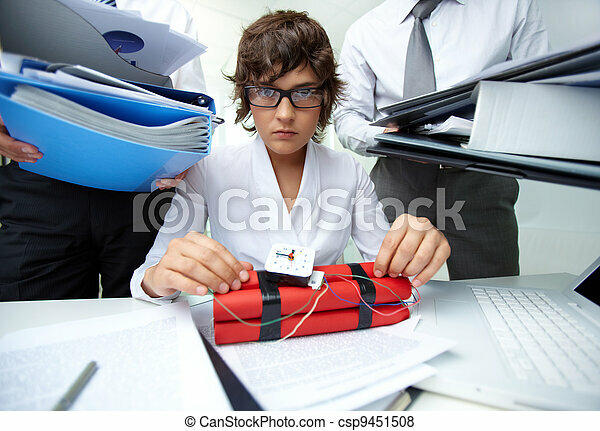 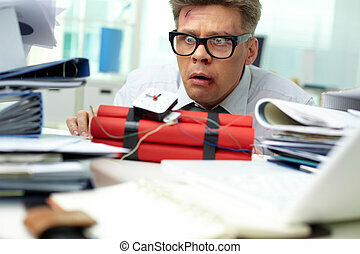 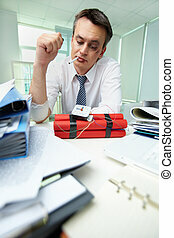 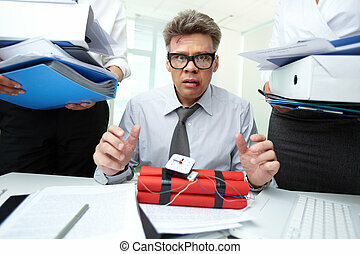 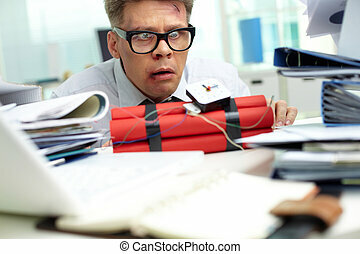 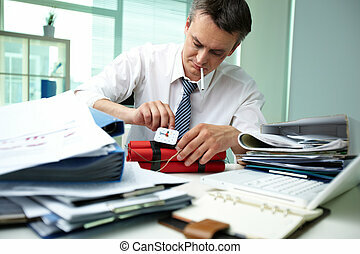 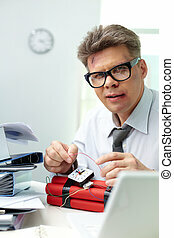 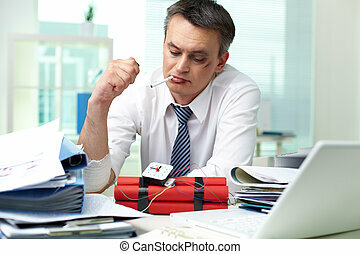 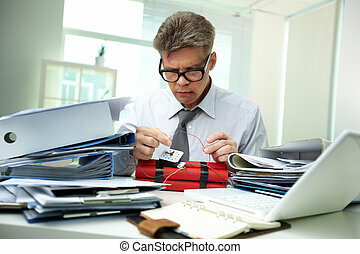 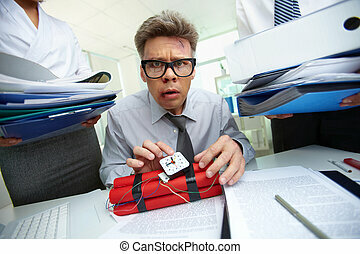 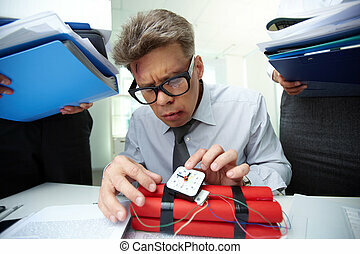 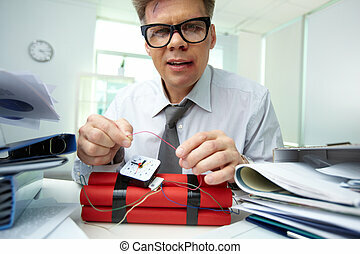 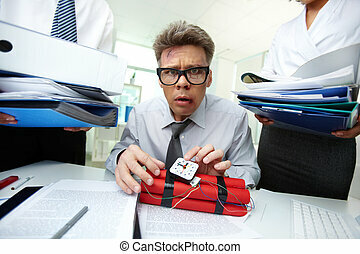 Serious secretary with dynamite being surrounded by big heaps of papers. 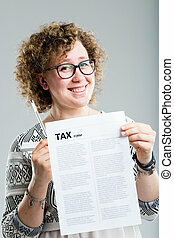 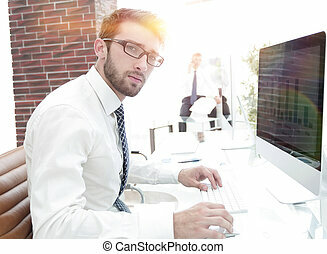 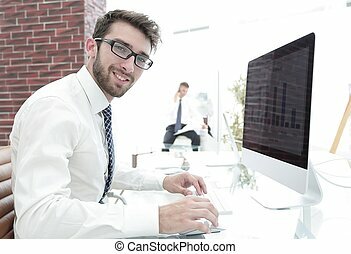 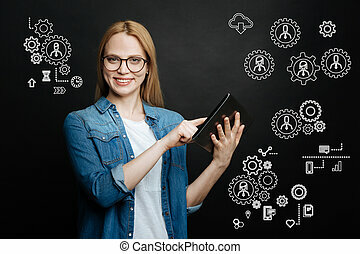 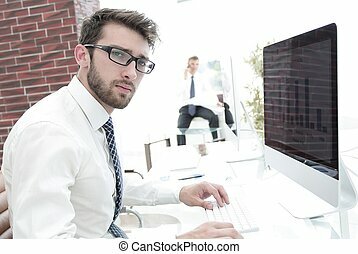 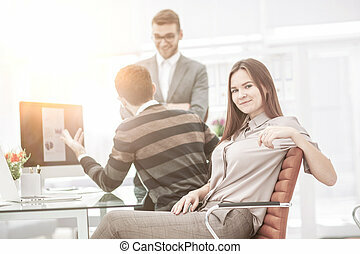 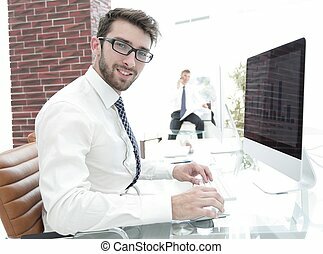 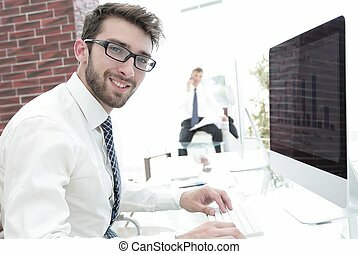 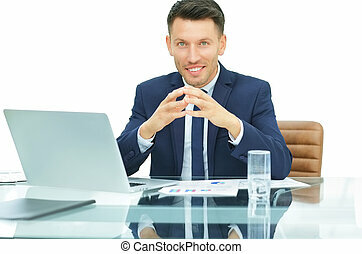 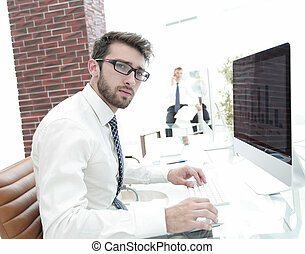 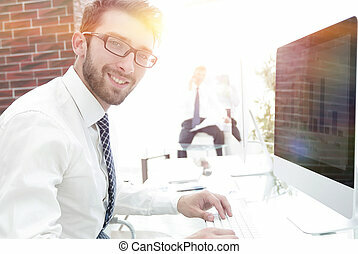 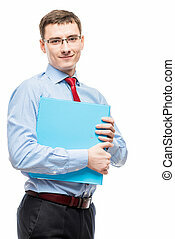 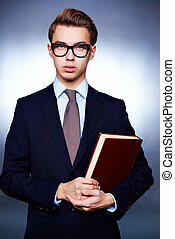 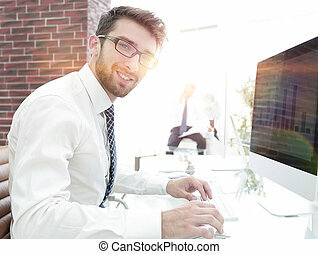 accountant, on the background of business team, which is discussing financial charts in a modern office.the photo has a empty space for your text.